Matt Machan led the way with a career-best 137 not out as Sussex staged a determined fightback on the third day of the LV=County Championship match with Somerset at Taunton. After restricting their opponents to 274 – and a lead of just 66 – from an overnight position of 176 for four, the visitors ran up 311 for two in their second innings to take control of the match. Machan faced 189 balls, hitting 19 fours, while Ed Joyce made 66 and Chris Nash an unbeaten 76 as Somerset’s bowlers struggled to make inroads on pitch offering less assistance than on the first two days. 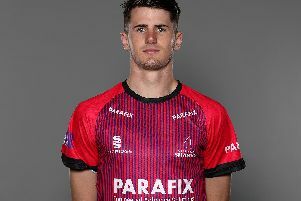 With the skies also clearer, the home side were made to rue adding only 98 to their overnight total for the loss of six wickets, only Craig Overton, with an unbeaten 53, making much impression. Sussex picked up three wickets in the space of seven balls, Peter Trego, who had added ten to his second day 71, having his leg-stump uprooted by Ollie Robinson (four for 79), while Steve Magoffin removed Lewis Gregory and Michael Bates with successive deliveries. James Hildreth, who had shared a stand of 163 in 38.4 overs with Trego and began the day on 63, was caught in the slips off Robinson for 82 with the total on 232. Overton then added 27 with Abdur Rehman and 15 with Alfonso Thomas. The young all-rounder needed treatment after being struck on the helmet by a Matt Hobden bouncer, but might have gone on to a bigger score had Thomas settled for supporting him instead of being stumped aiming an expansive drive at leg-spinner Luke Wells. By then Overton had faced 44 balls and hit 5 fours and 2 sixes, to ensure his side of a second batting point. Wells fell cheaply at the start of the Sussex second innings, but Machan and Joyce then added 122 for the second wicket to turn a game of fluctuating fortunes. Joyce was first to his half-century, brought up by a pulled boundary off Overton, and made off 75 balls with 7 fours. Machan soon followed, having faced 64 deliveries and hit 8 fours. The stand was broken with the total on 150 when Joyce top edged a pull shot off Trego straight to Thomas at deep backward square. The lead was only 84 and Somerset sensed an opening. The door was firmly shut again as Scotland World Cup player Machan, dismissed first ball in the first innings, moved to a chanceless hundred off 113 balls, with 16 fours, with Nash lending able support. Together they added 161 in effortless manner, Nash progressing to a 58-ball half-century, with 5 fours and a six, against a Somerset attack surely expecting more of their overseas player Abdur Rehman. The experienced left-arm spinner conceded 66 from 18 overs without taking a wicket. Machan’s innings beat his previous best score of 135, made against Worcestershire at Hove earlier this season. Sussex go into the final day leading by 245. Sussex centurion Matt Machan said: “I made my maiden century for Sussex at Taunton in 2013 so the ground has happy memories for me. But I’ve also had two first ball ducks here, including one in this match. Somerset batsman James Hildreth said: “It was a disappointing day for us and we shouldn’t be in this position after where we were at the end of day two. “It’s easy for me as a batsman to sit back and criticise the bowlers, but I felt that after a good start we could have applied greater pressure with more dot balls.